Honeycreepers are a bird species found only in the tropical New World, they are small birds in the tanager (Thraupidae) family. 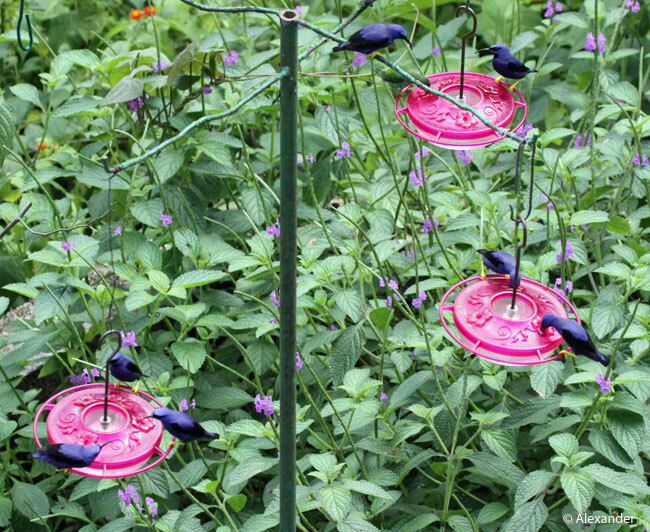 Like hummingbirds, their long, curved bills serve to reach inside tubular flowers seeking nectar. They live and forage in the rainforest canopy, and are sexually dimorphic (male and female differ in appearance). The purple honeycreeper, Cyanerpes caeruleus, can be found in various parts of South America and on the Caribbean Island of Trinidad. They feed on nectar, berries, and insects. 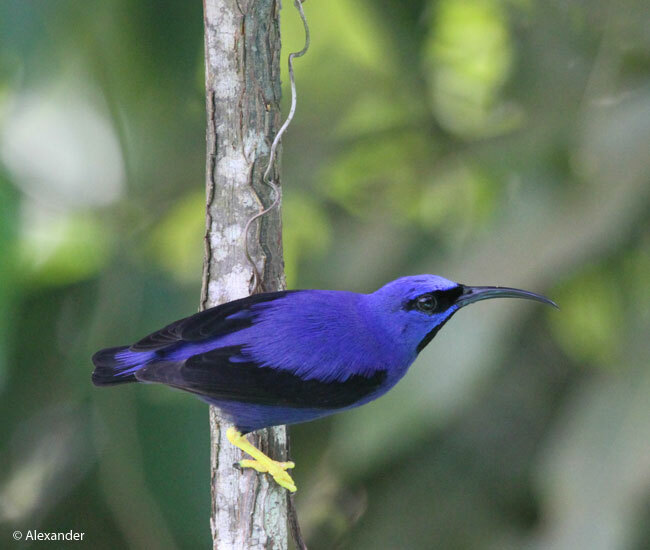 Having recently returned from Trinidad, I had the joy of seeing many of these purple honeycreepers. We stayed at a lodge in the rainforest, Asa Wright, that is dedicated to the natural environment and the wildlife of the Trinidad rainforest. Here they have a verandah with numerous nectar feeders and feeding stations.